There are two types of elephants, Asian Elephants and African Elephants. The scientific name for an African Elephant is Loxodonta africana and the scientific name for an Asian Elephant is Elephas Maximus. 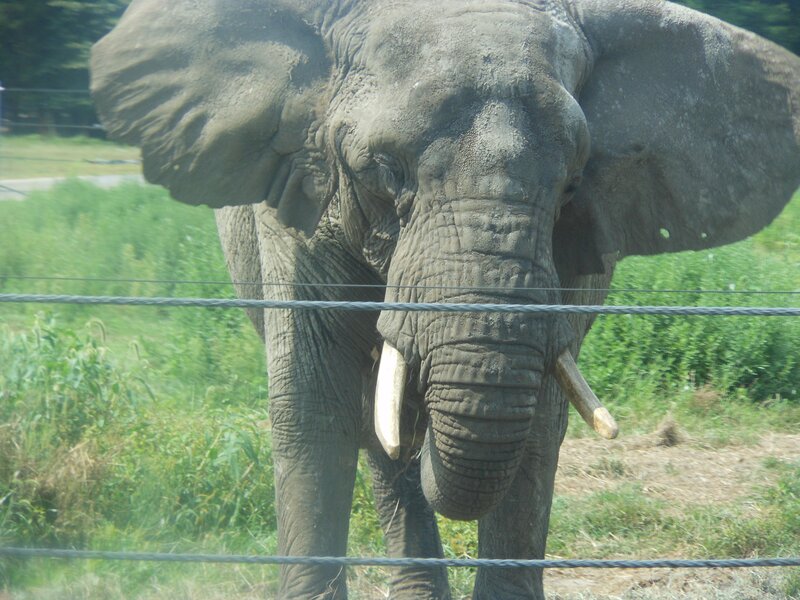 African elephants are larger than Asian elephants and have larger ears. Adult elephants weigh between 5,000 and 14,000 pounds. A female elephant is called a cow. Elephants have no natural animal predators. Elephants travel in a herd. A herd has 10 or more elephants. Herds are lead by a female elephant. Elephants eat grass, leaves, shrubs, branches and fruit. Elephants drink 40-50 gallons of water everyday. Elephants sleep about 2 hours per day. An Elephants trunk is their nose.